As the symptoms for Decompression Sickness (aka Decompression Illness, or DCI) are so diverse, any symptom that cannot be readily explained after diving or other hyperbaric exposure should be assumed to be DCI until proven otherwise. 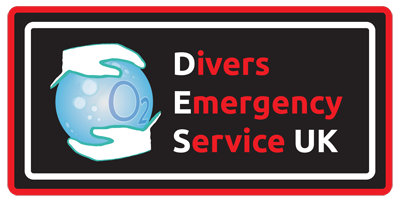 Call our Divers Emergency Service in the UK on 07 999 292 999 for free advice 24/7 all year round. Severe DCI is relatively easy to identify as the signs and symptoms can be fairly obvious. However, in many cases of DCI the symptoms are only minor, such as: Altered consciousness, balance and coordination problems, memory problems numbness or tingling, joint pains, and muscular weakness. Often these symptoms are initially put down to fatigue, over-exertion, lifting of heavy objects such as diving tanks, badly fitting equipment or the cold. Don’t leave anything to chance – if you aren’t sure about something, get professional advice without delay.